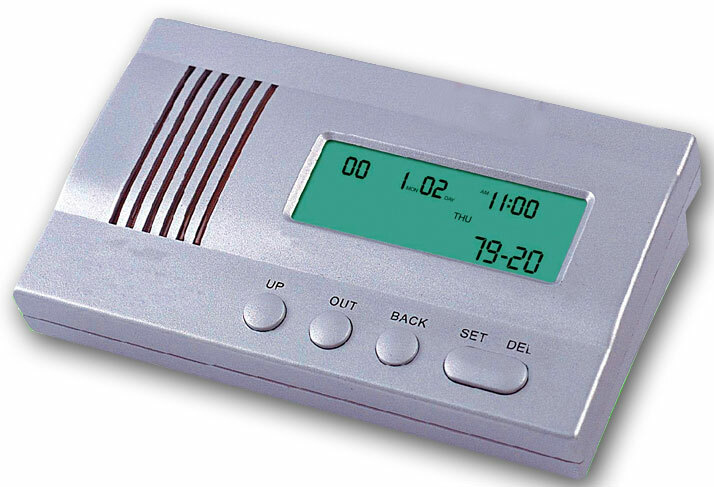 LCD displays incoming number,date,time,serial number and total incoming calls. New call,repeat call and error indication. Record 100 incoming ,30 outgoing number,records can be reviewed and,called back and deleted. Auto-filter local area code when call back a local number..
Electronic calendar,real date,clock and week display,Auto time call length. Colors: White Black, Metalic Blue, Dark Blue, Silver White etc.